Broad Spectrum SPF 50+ masks imperfections while shielding your complexion from burning UVB and aging UVA rays. Reap the rewards of all-day oil control when you use this 3-in-1 primer, sunscreen and BB cream. 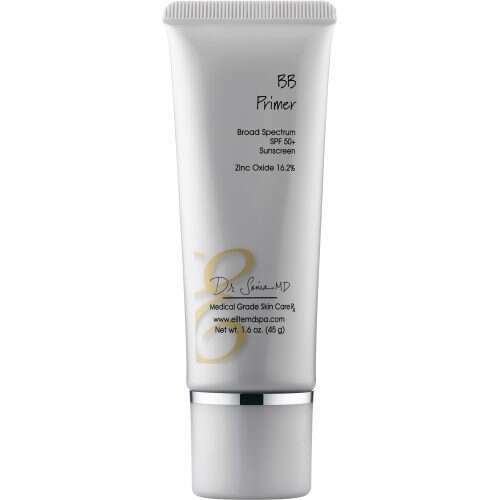 This next generation BB cream provides superior broad spectrum SPF 50+ UVA/UVB protection with a skin perfecting tint that reduces the signs of aging and evens skin tone. Worn alone or under foundation, this matte finish, multi-tasking formula provides all day oil control, antioxidant benefits and gentle hydration for even the most sensitive skin. Apply liberally to face and neck and spread evenly 15 minutes before sun exposure Re-apply after swimming, excessive perspiring, or anytime after towel drying, Consult a physician for children under 6 months of age.